It was on April 1st 2010 that the journey of Seven Media began in the unlikely setting of a portacabin in Ras Al Khaimah. As co-founder Matt Slater and I stood in the prefabricated building (the makeshift headquarters of RAK Media City), signing our first ever business license, it would have been impossible to predict that one day the company would be named the best large agency in the Middle East. Almost seven years later, Seven Media has 52 staff. We’re headquartered in the UAE with offices in Abu Dhabi (our HQ) and Dubai; our operations in Saudi Arabia and Qatar were launched in the last year. 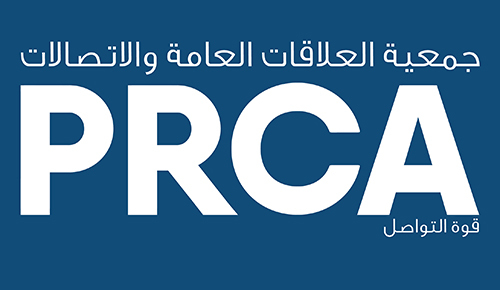 The story of growth was one we didn’t expect at the start – and we are incredibly proud that this latest chapter saw us take the prestigious accolade of Large Consultancy of the Year at the inaugural PRCA MENA Awards. Up against so many of the industry’s international leaders, winning this award is the source of immense pride for a home-grown agency. It is also testament to the talent that makes Seven what it is today. Since Matt and I launched Seven, we have been lucky to have employed some incredibly talented media professionals who have helped drive things forward. They have enabled us to consistently deliver for some incredible clients and projects – from major government organizations to big regional and international names in hospitality, sport, entertainment and business. Seven began life as a plucky little company that thrived on content-driven Arabic and English PR campaigns. Today our media relations capabilities are complemented by an in-house video production department and a dynamic social and digital media team made up of designers, motion graphics artists and strategists – taking our campaigns to new levels. Those departments are completely bilingual and fully integrated, so the agency is much more than the sum of its parts. This integration has meant that over the last couple of years many people have had to work extremely hard to develop their skills (and learn many new ones) to adapt with the times. The recognition from the PRCA judges is a validation to all our staff that hard graft really does pay off. It is also refreshing to see a new type of agency recognised by the industry and demonstrates that independent, forward-thinking PR firms are beginning to shine in a competitive market. And for a company with such humble beginnings, we are honoured to be sharing the limelight with the biggest names in the business.